1. To prepare the teeth, the dentist usually removes a small amount of enamel from the front and sides of the teeth. This makes room for the veneers so that your teeth look natural. 2. The dentist makes an impression, or mold, of the prepared teeth. The dentist also decides on the veneer shade that will be best for your smile. 3. The impression is sent to a dental lab that custom-makes the porcelain veneers to fit your teeth. This may take several days. The dentist may give you temporary veneers to wear in the meantime. 4. At the next visit, the dentist places the veneers on the teeth to check the fit and shape. After any adjustments, the teeth are cleaned and the veneers are bonded to the tooth. 5. Further changes may be made at a later appointment. 1. After the teeth are prepared or reshaped, the dentist carefully bonds and sculpts the composite material using a color that is best for you. 2. A special light is used to harden the composite and bond it to your teeth. 3. The veneers are smoothed and polished to look like natural teeth. 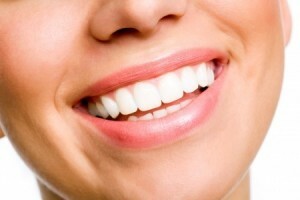 • Your teeth and gums must be healthy before you get veneers. Your dentist can treat any disease or decay before your veneers are placed. • Veneers are not always a good choice for patients who clench or grind their teeth, because the thin veneers may chip or break. If you clench or grind your teeth, your dentist may suggest you wear a plastic dental night guard while sleeping. • Although your dentist removes as little tooth enamel as possible for veneers, the process cannot be undone once the enamel is removed. • It is possible for veneers to come loose over time. In that case, new ones might be needed. • As with all your dental care, discuss all your expectations and treatment options with your dentist. Regular dental visits are a must for keeping your teeth and gums healthy. • Veneers can chip or break under pressure. Avoid biting your fingernails and chewing on hard objects, such as pencils or ice. • It may take you a few days to get used to the feel of your veneers. But do let your dentist know if your bite does not feel right after the veneer has been placed. He or she will correct it before you leave the office. • Keep your teeth and gums clean by brushing and flossing each day. You can still get cavities under or around veneers. Look for dental care products that show the American Dental Association’s Seal of Acceptance. This says that a product has met ADA standards for safety and effectiveness.